The holiday season is quickly approaching, which means it’s time to take a break from work and school, visit family, and curl up with a cup of hot cocoa that’s 50% marshmallows…but not so fast! You can’t really relax until you’ve finished your holiday shopping. 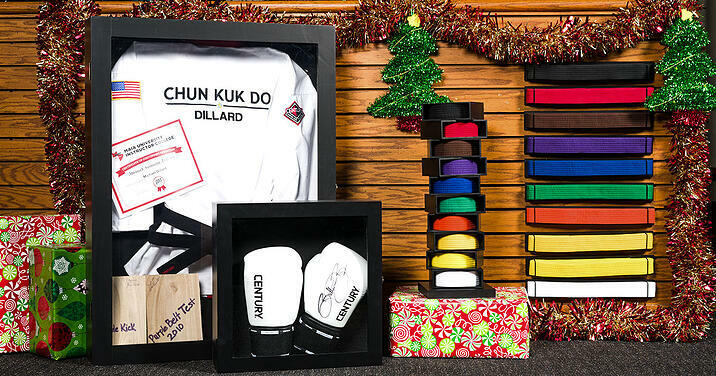 If you’re a martial artist or are shopping for one, you’ve probably already considered getting a martial arts-themed present. No matter who’s on your list, this guide will help you find a gift that’s just right! Young kids are known for their rambunctious nature and goofy sense of humor, so they’ll find this plush Bigfoot in an “Ultimate Ninja” shirt hilarious! They can even coordinate outfits with their new furry friend with their own Ultimate Ninja tee. Fidget Spinners also make a good gift. If they’re a fan of other fictional ninjas, Power Rangers or Teenage Mutant Ninja Turtles books will be a hit. Preteens who have been involved in martial arts for a little longer will appreciate a gift that recognizes their hard work and the effort they’ve put into training. A Rotating Belt Display lets them add the belts they’ve already earned, and with ten levels, it has room for future achievements, too. Teenagers and college students can be notoriously hard to shop for. However, a T-shirt that fits your teen’s unique style and personality is always a safe bet! Look through our wide selection of tees, including stylish new options, to find the best one. If you’re shopping for a college student, consider a practical gift: personal and apartment self-defense gear. BlingSting pepper spray and personal alarms are cute and fashionable, and easy to clip on to a backpack or purse. There’s no age limit on who gets a stocking, so stocking stuffers are great gifts all around! Small, fun gifts like Ninja Ornaments, Karate Critter Ornaments, Karate or Taekwondo Frame Ornaments, LED Bracelets and Nigel the Ninja all fit perfectly into a stocking! 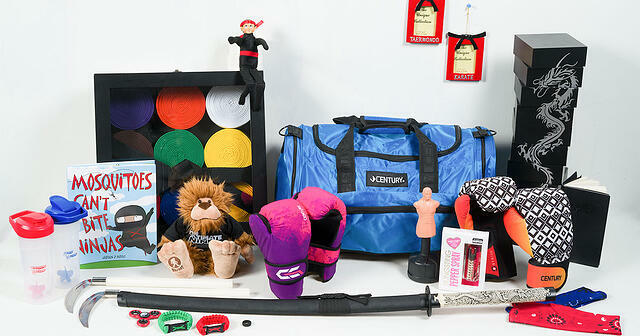 Whether you’re shopping for a parent who trains, or simply one who loves martial arts, there are endless options! On-the-Go Parents are all about the fast-paced lifestyle. They’re the ones fielding business emails while getting ready to go to a weekend karate class, and on their way back they’ll swing by the store to grab supplies for a weekend birthday party. Some people find the constant action stressful, but not On-the-Go Parents! This often means they end up taking things “on-the-go,” so give them a 40 oz. Black Belt Thermos or Grip-N-Go Coffee Cup – because if anyone deserves caffeinating, it’s them! Dojo Decor Parents always like to add extra flourishes: fresh flowers in the kitchen vase, throw pillows on the couch, and furniture they built themselves. They see their homes as a way to display their personalities, and if martial arts are important to them, they’ll love finding fun new ways to incorporate those elements too! Get them a Karate or Taekwondo Picture Frame or Martial Arts Wall Hanger to add to the décor. Chef Parents love to cook! Sure, it’s a little weird that they’ll break out the grill while it’s still in the 30 degree-range, or heat up the whole house by oven-broiling a frittata in July, but it’s hard to complain when the result is delicious food! Give them the Angela Gracie Recipe Book and they’ll find 90+ new recipes from Brazilian jiu-jitsu’s first family to explore, as well as some fundamentals of the Gracie diet. If they like cooking food, chances are they also like mixing up tasty teas, smoothies, shakes, and other beverages. A Black Belt Coaster Set will give them the perfect place to set six drinks! The Fitness Fiend parent knows that good exercise habits don’t have an age limit. If anyone’s going to wake up at 5am to hit the gym, it’ll be them. Sometimes, even the gym can’t keep up with them! When it’s closed for holidays, repairs, or inclement weather, Fitness Fiends need a way to work out at home. 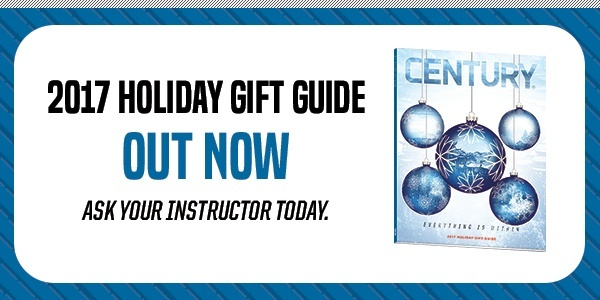 Gear like Resistance Bands, Neoprene Kettle Bells and Neoprene Sand Discs make perfect gifts. Be sure to pair it with a Cooling Wrap, for staying comfy during intense training. The Fun Instructor has a great sense of humor – probably why the love teaching kids’ class! They’re masters of masking repetition and drills with fun games. Fun Instructors’ sunny personalities and positive outlook make their students look forward to class every day. They’ll love a slightly silly gift like the BOBblehead or Wavemaster BOBblehead that’s a little funky while still a reminder of the hard work they do. Voted “Most Likely to Quote Sun Tzu’s Art of War in Normal Conversation,” the Scholarly Instructor is a wealth of knowledge. Their lessons emphasize strategy as well as skill, and more often than not, you’ll leave class with a new piece of trivia. Their front desk holds their favorite martial arts books. They’re always looking to add to their collection and learn more, so get them a book they don’t already have, like one of the Mind, Body, Spirit trio by Barry Barker. Don’t show up late to an Organized Instructor’s class! They prefer it when everything is neat, tidy, and punctual. They’re great at making sure everything runs smoothly, from daily classes to tournaments, and they’re well-prepared for just about anything that happens – because they already had a plan written down and filed away in a drawer with all their other plans. Help them keep track of things even more efficiently with a Black Belt Desk Organizer with tons of handy built-in features, or a stylish Black Belt Notebook. Don’t let the commercials fool you – sure, ties and diamond earrings are nice, but if your partner’s true love (after you, of course!) is martial arts, give them something that reflects their unique personality and interests. With all the recent advances made in technology, maybe your partner is an App Aficionado. It might seem that they’re glued to their device, but it’s not mindless scrolling. They’ve harnessed the power of apps as entertainment, communication, a personal scheduling assistant, a coach, a nutritionist, and much more. Hykso Wearable Punch Trackers pair with a free smartphone app. The trackers measure the speed and intensity of strikes, and record training sessions so users can monitor improvement over time. It’s the perfect accessory/app duo for any martial artist who practices punching – and you can give it to your sweetheart with a note letting them know just how “striking” you think they are! Pair them with Strive Washable Boxing Gloves for an extra-special present. If you’ve ever had an innocent cuddle turn into a wrestling match, or heard, “Honey, come here, I have something to show you!” and known the ‘thing’ was a new BJJ move, your significant other is a Grappling Fan. Hugging is a tricky business, because you’re never sure if they’re returning the affection or vying for double underhooks. You’d never fault them for their love of their art, though, so give them an easier way to practice with a Grappling Dummy. They’ll love it, and you’ll be saved from any more surprise BJJ rolls. For the times they do go train at the gym, give them Mat Sox to protect their feet from mat burn. Hard Sparrers are the ones who always come back from training exhausted, smiling, happy…and covered in bruises. You may have wondered if they’re secretly a vigilante crime fighter. Chances are, they practice a high-intensity art like muay thai, pankration, krav maga, or MMA. Make sure they have high-quality gear that can keep up with the demands of their training. Creed products are top-of-the-line, made with genuine leather, and perfect for any Hard Sparrer. Your sig. other will love Creed Shin Guards, Sparring Gloves, and Full-Face Headgear. And who knows? Maybe there’ll be fewer bruises in the future. If you’re with someone who’s Tactical and Practical, you’ve probably A) watched multiple episodes of “Survivor” and heard their theories as to how long they’d last on the show, and/or B) gone camping in a way you definitely considered ‘roughing it.’ They’re probably involved in self-defense arts, like krav maga, and know that when it comes to preparedness it’s better to be safe than sorry. Give them Propper Lightweight Tactical Pants. These are perfect for holding all sorts of survival and self-defense gear, like our new tactical and training knives, or a Paracord Rank Keychain. Is your sweetheart a scrapbooker? Do they carry ticket stubs from that time they saw their favorite band back in ’07 in their wallet? Are there dried roses from your first Valentine’s Day together hanging in your room? If they’re a Memory Keeper who thinks life’s special moments are worth preserving, get them a Shadowbox. There are two sizes of box (18”X18” and 28”X38”) that are perfect for displaying gloves, uniforms, belts, and other martial arts memorabilia. It’s a sweet gift, and it shows the memories you’ve made together are an important part of your lives! Silicone Rings are a great gift for any husband or wife who trains in any martial art. Many people want to wear their wedding ring everywhere, including to training. However, metal rings – especially those with stones inset or in prongs – can cause training and can be uncomfortable. Soft silicone rings, on the other hand, dramatically reduce the chances of anything going awry with your digits. They can be worn during grappling and even inside gloves for striking. Depending on the size of your gym and the classes, it may not be feasible to get a gift for everyone. But if there are one or two individuals you regularly partner up with, a small holiday gift is a great way to thank them for their friendship (and apologize for that one time your foot slipped and you kicked them in the nose a little bit). Give them something they’ll be able to use in training, like a Shaker Bottle for getting those critical grams of protein after a workout, a 21 oz. Steel Sport Bottle for hydration, or a Paracord Keychain to make it easier to find their keys when it’s time to head home. No matter who you’re shopping for, keep in mind one thing: the size of a gift doesn’t make it any more special, nor does a hefty price tag. The best gifts are those that show you know the person you are shopping for, and took them into consideration when picking out a gift. Happy shopping, and a happy holiday season to you and your loved ones!